Our beloved Paulette Cenita Virginia Peyton peacefully transitioned onto her eternal life on Wednesday November 7th, of 2018 while at home surrounded by her family. She preceded in death by her parents Robert & Pauline Peyton, son; Leonardo Maurice Peyton & siblings; Eugene Brooks, Eugene Blackshear, Ronald Peyton, Daniel Peyton and Ruby Dirkson. 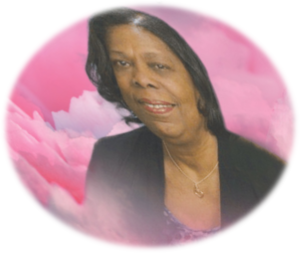 Paulette leaves to mourn precious memories to her children, Debra Peyton, Sharon Hayes & Michael (Valirie) Riley Jr , sibling, Eleanor P. Ford and a host of grandchildren, great grandchildren, nieces, nephews and friends. All Relatives and friends are invited to attend her Celebration Of Life on Monday, November 19, 2018 at 11:00 am at Cathedral of God, 10 Main St. Hardeeville SC 29927. Ms. Paulette will lie instate an hour prior to services. Paulette's final resting place is Purrburg Cemetery, Hardeeville SC. Final Care and Services with Distinction, Dependability and Dignity provided to the Peyton and connected families by Stiney’s Funeral Home.